My recent posting on the so-called Pineapple Express illustrated how the influence of this atmospheric river leads to a pattern of weather pulses, which originate over the central Pacific and generate large storm systems as they come over land on the west coast of North America interacting with the arctic jet stream. 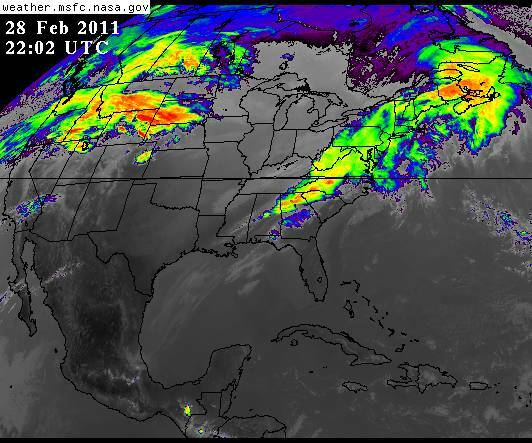 One of the latest pulses rolled over the central USA over the weekend [February 26-27, 2011] leading to extreme weather alerts, flood warnings, tornado warnings and severe thunderstorm warnings in several states on Sunday 27, February 2011. Today, on the last day of February, the impact of this severe storm system continues to be felt over a large swath of the country from Alabama, Georgia and Tennessee, to Kentucky, West Virginia, the Carolinas and beyond as it continues to move toward the east. 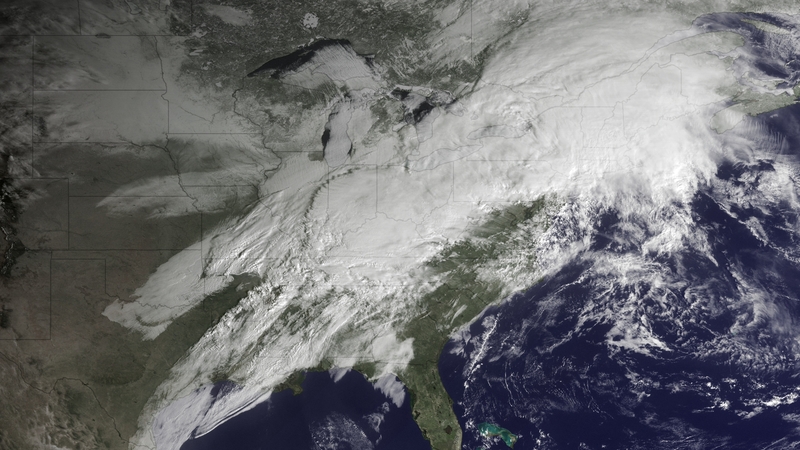 The satellite image above shows the storm on Monday 28, February 2011 as it affected the region described above. GOES EAST satellite view on 28 February 2011 at 17:02 EST shows a large storm system over the eastern portion of the country while another is over the west, and it is already affecting some central states.